$150,000 - REDUCED TO $130,000! This property consists of two apartments, which are for sale separately, together, or even the whole building, including the ground apartment and casita in the garden! It is centrally located, in the Panajachel (Pana) suburb of Jucanya, just over the Amistad Bridge. A very unusually-designed apartment with a strong Japanese style, as the details are in bamboo and wood, along with a huge palapa roof over the centre of the main, open-plan living area. The main room of this apartment is spacious and light with strip windows to one side boasting wonderful views of Lake Atitlan’s volcanoes. There is a dining area to one side and a fully-equipped kitchen in one corner separated by a breakfast bar with stools. In the main part of the room is a large L-shaped, comfortable sofa providing ample space for relaxing or watching the TV. Off this main room is the Master Bedroom and en-suite bathroom with walk-in closet. To another side is a double bedroom and single bedroom/office space, which share a bathroom with shower. This apartment is currently being rented successfully as a vacation rental when the owner is not here. The offer is basically turn-key, a few personal items are not included. The apartment is currently for rent – why not rent before buying?! Click here for more information. 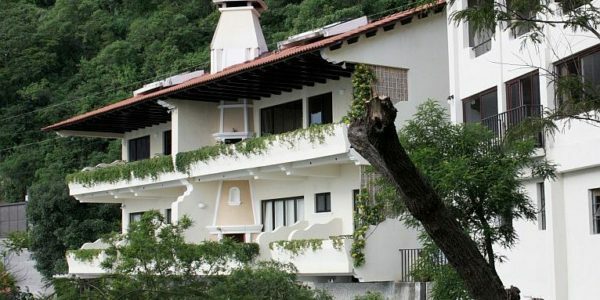 $198,500 This fabulous property, a great investment, right in the centre of Panajachel (Pana) has two houses (1 x 2-Bed ..
$280,000 – each house Two spectacular 2-bedroom, luxury homes perched on the hillsides between Panajachel (Pana) and Santa Catarina Palopó ..
SOLD $255,000 – a fantastic investment! A beautiful home and great investment on offer in an exclusive complex of just ..
CV-116: Stunning, Santa Fe-Style, 3-Bed Family Home with shared pool, Pana – SOLD!